What if we could access the world? 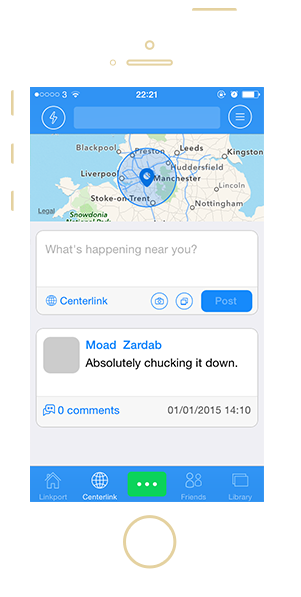 Centerlink - where you can access the world around you and at large. It’s a collective consciousness you can tap into and contribute to. 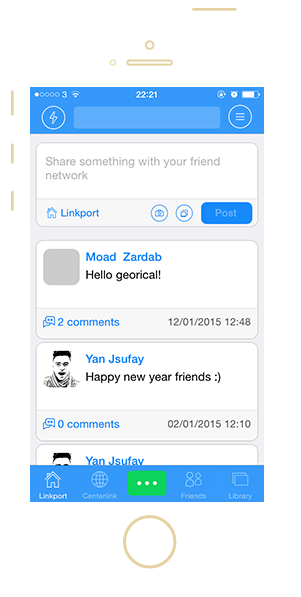 Linkport - basic personal space where you only see your friend networks posts and where you can share something with them using text posts and photos. 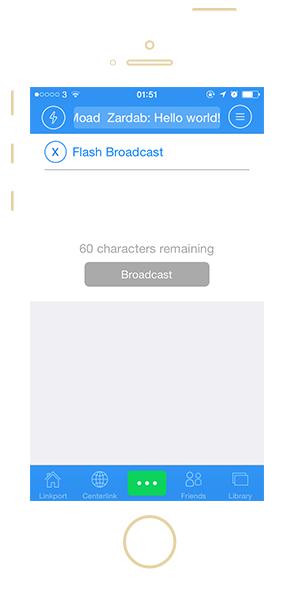 Flash Feed - Send and recieve a 60 character message that is seen by anyone in your friend network who’s using the app at the time. Library - A comprehensive and easy to use photo library where you can view and store shared photos. Actual location - What's happening near you? Allows you to access and connect the people and world around you. It is the natural state you see first. Explored Location - Connect to anywhere in the world. This allows you to navigate anywhere in the world, with the ability to revert back to your location at anytime. 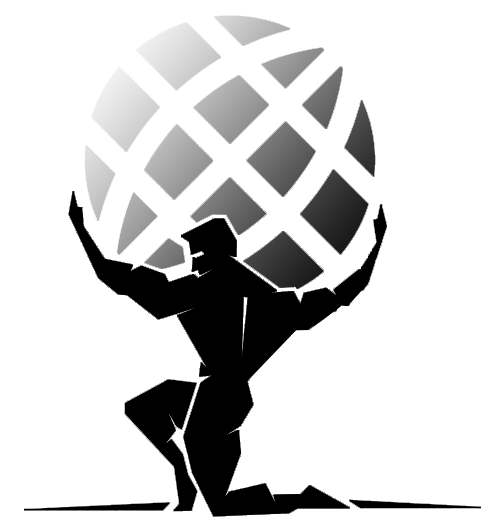 An increased or decreased web radius may alter the flow and visibility of web feed. The incoming web feed received is the latest’s posts made by people (including yourself at the centre) within that web radius which is the viewing users unique perspective. A simple and easy to use personal space to connect with your friend network. This is also where you can find posts, comments and other shared information. 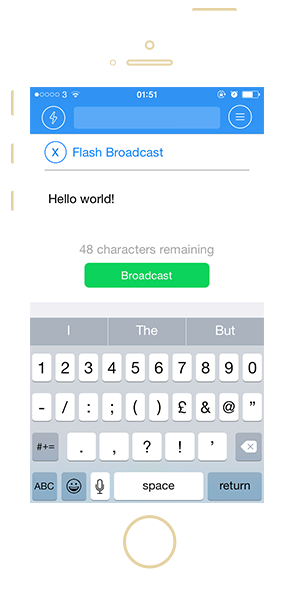 Send and receive flash broadcasts from your friend network. 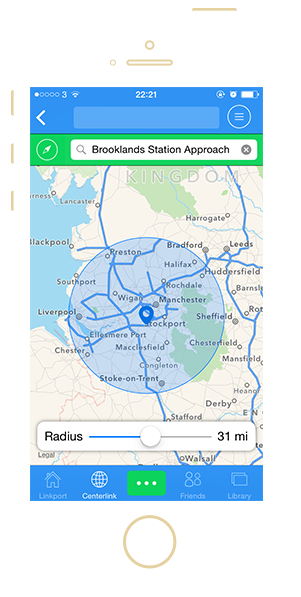 See them in real time anywhere in the app like a shooting star. To organise the world, make it accessible and interactive. 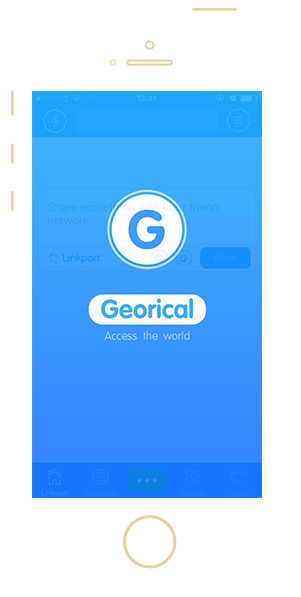 For many years we had always felt that the internet was missing something, so we founded Georical to fill that void; the need for and the possibilities of making the world accessible and interactive. We have always had a curious fascination with the world, wanting to be present or to teleport/transcend anywhere in the world at any given time and to in a sense be omnipresent. We wondered how do you empower the ordinary person in a way that they could access and reach any corner of the world? How do you make sense of the many different things in life and on the internet in relationship to you? The big idea behind Georical is to let you access the world like the World Wide Web lets you access the internet and to essentially become an extension of the wider web; A world without barriers and a web of connections. A digital version of the real world. 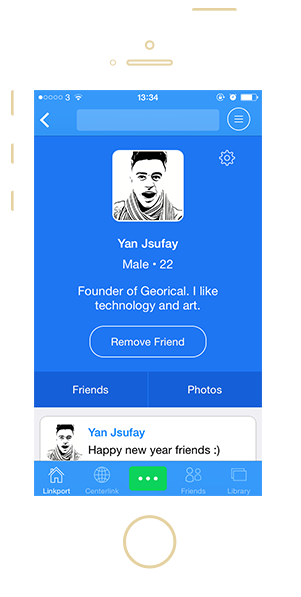 More to this, Georical is a multi-dimensional idea that wants to serve the world in different ways by becoming a platform for many things such as people, businesses/start-ups, government, enterprises, news, media, travel, navigation, search information, commerce, content, IoT, the web itself and everything in between.